That’s exactly what I will do when I receive it. Just wanted to say that Thanhtung is a pleasure to do business with!! Most of the time when I buy a pointer from someone they too don't include polarity information, plus is usually towards the diode for our hosts, but what if they wired it differently is my worry. - I’m glad to hear you received this item! I got it. Actually the last two pointers I acquired were positive to the cap. Glad I didn’t assume this one was that way as well. Please report on your impressions, I’m wondering how the divergence compares to other MM diodes. First of let me say that it was an excellent experience dealing with thanhtung. Great support and I will have no issues buying from him again. I haven’t had much time to work with this pointer yet but right away the increased power compared to the 16X BDR-209 Bluray Diode is immediately noticeable. Also the host itself is very impressive. I don’t have a spectrometer but the beam photos were a bit misleading. Compared side by side with my 16X BDR, they look very close in color. I would estimate the wavelength to still be 405nm ish. Overall I’m still quite happy with it. I will post more information as I have it. I am interested also in the beam specs of this MM diode. Would love to have a look at one on my spectrometer. Thanks for your review, SOSDD. I would have no problem sending this pointer to you Paul. That way I would know exactly what I have here. Let me know if you’re interested. Sure. I would be able to do this for you. It would likely cost you shipping to me and $7.20 for shipping back as that is the cheapest way I can print labels using my USPS app. PM me for my address. 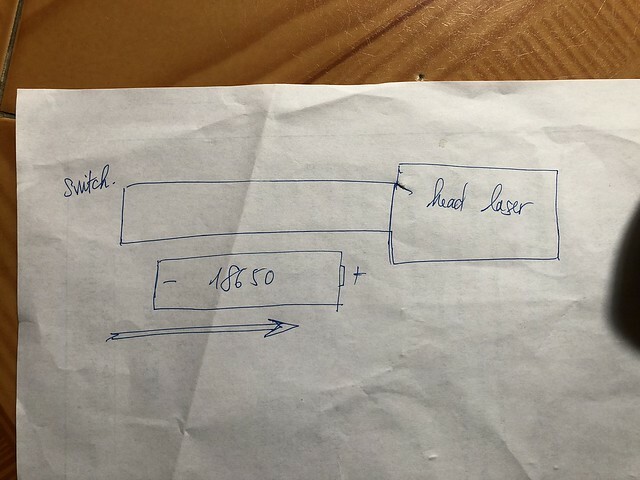 I was offered this diode in another host by another seller a couple of weeks ago, but being multimode, and what he was telling me about the amount of divergence, I didn't. However, maybe I should have, just put a beam expander on it and problem solved. Always the challenge for me too. What was the diode in this build? Does anyone have specs? Are they sold alone or in Cu modules to try Knife-Edging etc? EDIT: OK, I understand that this should be HL40033G, but let me reformulate the question: where can I find it for <170usd, please?